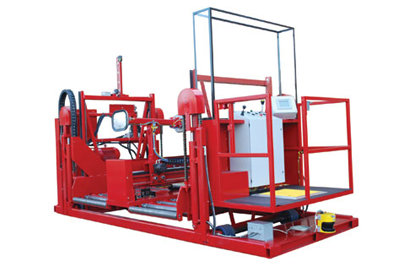 Dramatically increase efficiency and reduce labor costs with the Hydra-Handler Elite. Forklift operators are able to safely and quickly change their own batteries while laser photo eyes and ultrasonic sensors eliminate damage to equipment. Battery changes happen faster, because the system automatically travels to pre-programmed battery changing positions. Plus, the First-In, First-Out battery management software maximizes battery life and reduces the amount of batteries and chargers required. Allows forklift driver (not dedicated personnel) to change batteries by automatically positioning the Hydra-Handler. Reduces battery changing training by including “lighted wand” (green=go, red=stop) handles and step by step screen prompts on the operator display. Speeds up battery changes by automatically traveling to preprogrammed battery changing positions. Maximizes battery life and reduces the batteries and chargers required with built in First-In, First-Out battery management software.